Artists at Burning Man are beloved celebrities. They are fed, feted and flaunted at the best parties. They have lots of friends. But what about the art itself? It sits, alone, on the playa, enduring broiling heat and choking dust. It gets broken, damaged, and worn. 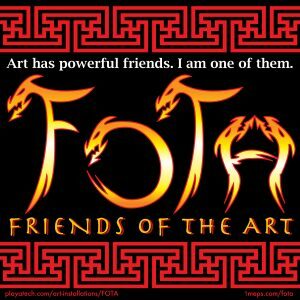 Often, art gets abused, or worse, ignored. A well-known Burner, Sunshine (of Playatech fame), gave those last two items some thought. 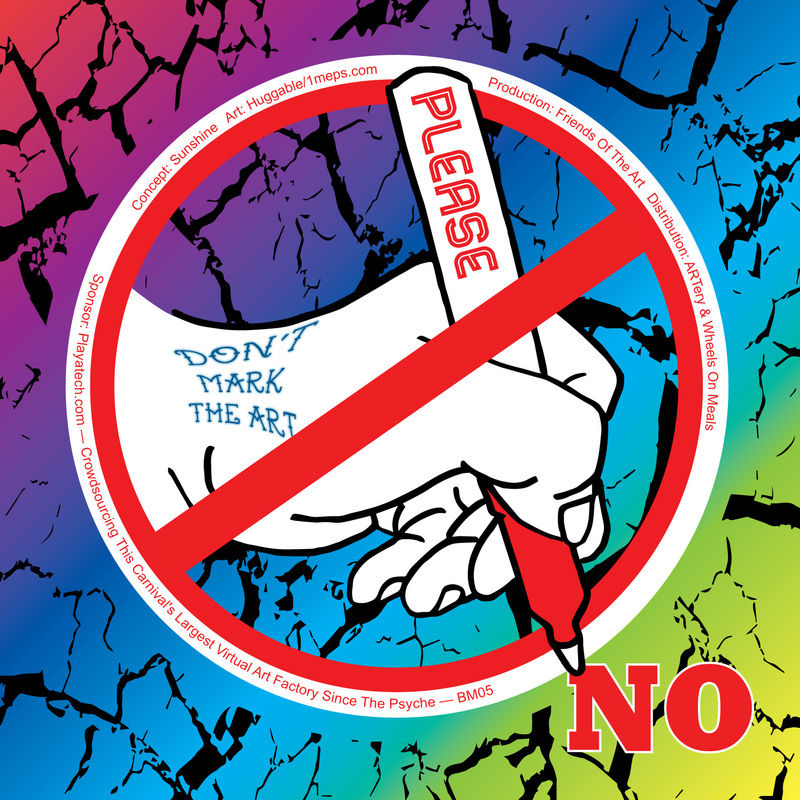 How could artists explicitly let people know whether or not to write on a given piece of art? 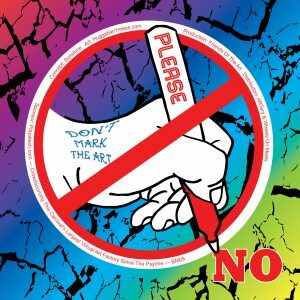 How could artists “tag” their own art? Sunshine imagined a couple of stickers, one encouraging radical self-expression and one discouraging graffiti. He cast about for an artist to design them. “…the nature of experiments at Black Rock City is that the doers get to do them no matter how crazy, unworkable, or challenging they might seem.” I read Sunshine’s statement and raised my hand. I’m a doer, and I love a design challenge. 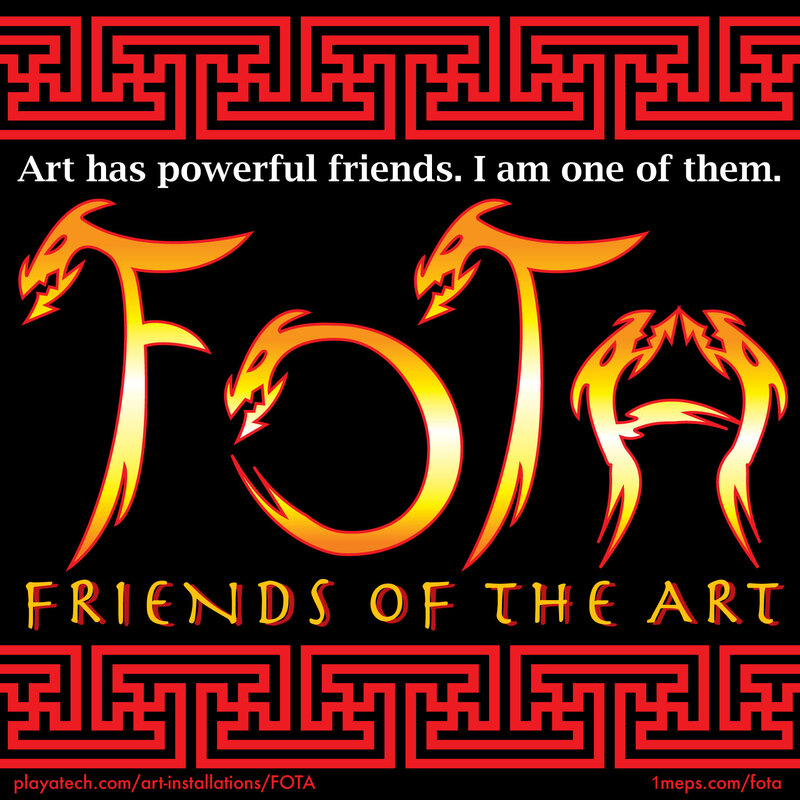 This year, I came up with a name for our movement: F.O.T.A., or Friends Of The Art. I created a super-hot golden-dragon logo to go with it. 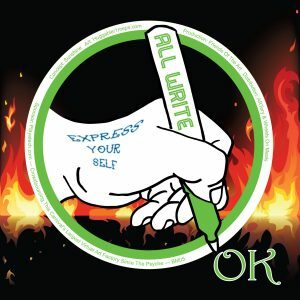 It’s time to print hundreds of “All Write OK” and “Please NO” stickers to give away to artists, with better adhesives and reflective ink this year. Both ARTery and Meals on Wheels will be handing them out, so they’ll reach even more installations. We also want to print some posters and signs. Dragon stickers are available directly from me (Meps, aka Huggable) at https://squareup.com/market/margaret-meps-schulte/fota-dragon-sticker. Put them on anything — your car, your water bottle, your front door, your forehead. Please note: Friends Of The Art does not recommend putting Dragon stickers on cats or live chickens.